Specialising in the installation of swimming pools, hot tubs and a host of other service, our experts are able to assist you with any enquiry you may have to ensure all of your needs have been met. "A professional and reliable pool installer with over 10 years experience in the industry..."
Isca Pools - Specialising in swimming pool, hot tub installation and a host of other services. Isca Pools have a wealth of knowledge and understanding to be able to assist you with any enquiry you may have. No matter what enquiry you may have, our experts are on hand to assist with any enquiry that you may have. Our experts have the knowledge and understanding to be able to make your dream swimming pool or hot tub a reality. Our swimming pool installers have a wealth of knowledge and understanding of the industry to be able to assist you with any enquiry and ensure all of your needs have been met. For more information see their profiles below. 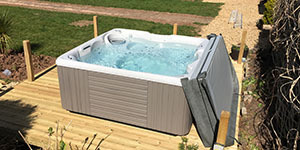 Supplying and installing a vast range of hot tubs in the Devon area. 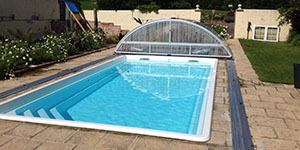 Creating bespoke pool solutions to your exact needs and requirements. 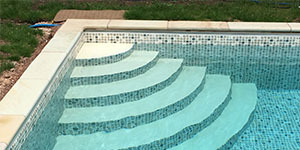 Specialising in the design, supplying and installation of swimming pools.